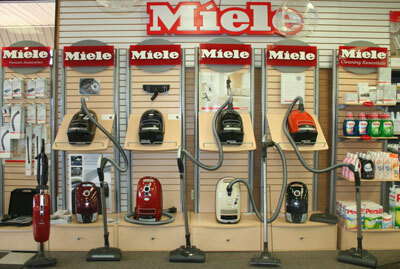 Locally owned and operated in the Columbia area since 1970, The Vacuum Center offers popular brands of household, commercial, and industrial vacuums, as well as steam cleaners, shampoo/polishers and air purifiers. We also stock all common replacement items such as bags, filters, and parts for all major brands. Friendly and experienced staff is available to assist you in selecting the right machine to meet your needs and budget. The Vacuum Center services and repairs any make or model vacuum and is home to Columbia’s Premier Central Vacuum Showroom. The Vacuum Center can install any of the Central Vacuum Systems we carry, including Beam and Element by Vacuum Center, into your new or established home. We also carry the highest rated air purifier in the world, the I. Q. Air. Call us or stop by for a demonstration today and experience what it feels like to breathe clean air with the products we provide.